I have to be careful because this post could be taken the wrong way. If you find yourself reading it in a negative way and thinking ‘ungrateful cow’ then please know that is not the message intended. What I am about to say is something that I too am guilty of! I am worried. I am worried because for a long time now I have noticed that Thank You is losing its meaning. We all tell our children “say please, say thank you”. These, we tell them, are the magic words. However although ‘Please’ still holds on to some of this magic, ‘Thank You’ has lost it. It’s as if we no longer believe our friends when they say ‘thank you’. It doesn’t seem to be enough anymore. There was a time when someone would do something nice for you or help you out: give you a lift somewhere, have you round for a cup of tea or collect your kids from school and your genuine thanks was all that was needed in return. There would also be the knowledge that one day they would probably call on you to help them out too so the favour would be returned. Recently however (and as I said before I am guilty of slipping into this pattern too) I have noticed that ‘Thank You’ often comes with a bottle of wine, a box of chocolates or a bunch of flowers. Don’t get me wrong, I love a bottle of wine and supper cooked by someone else! These thank you gifts are wonderful and a real treat, however they are becoming daily occurrences for normal things that before would have just required the two simple magic words ‘Thank You’. I was talking to my mother-in-law about this at the weekend, and she says that it is not the case where she lives. I wonder if it is a location thing or a generation thing? Everything in life is becoming more lavish, just think about children’s birthday parties (the cost of presents, party bags, bouncy castles!) it’s getting out of control. With life becoming so expensive at the moment, these ‘thank you’ presents can really set someone back quite a few pennies especially if they feel they have to buy something as a thank you gift every time they ask for a favour or pop into a friends for a cup of tea. So to all of my friends and family and anyone else listening, I would just like you to know that if you need my help I am there for you. I don’t need a thank you gift. I truly understand when you look in my eyes and say “Thank You” that you mean it and that is enough for me. Likewise if, when you have helped me out, I come to your door to say “Thank You,” please know that I truly mean it from the bottom of my heart. 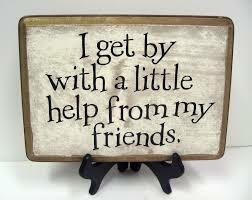 I appreciate your friendship, your help and your kind deeds. I love having a cup of tea with you and a good natter. If I don’t offer a gift of thanks please don’t be offended and think that I don’t appreciate what you have done for me. 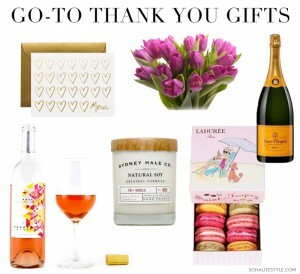 I absolutely appreciate it, perhaps more than you will know, but sometimes I just can’t afford a bottle of wine, a bunch of flowers, so in return for your kind deed, you receive my thanks and an unspoken promise that I will help you in your times of need too and not expect a gift in return. This leads me onto the topic of visiting guests. We have recently moved house, so have had lots of wonderful weekends where our friends have made a huge effort to come all the way to see us to let us know we will not be forgotten! This is a gift in itself. Now when we used to go to someone’s house for supper it was always polite to take something. A bottle of wine OR a bunch of flowers OR a box of chocolates. Now suddenly the rules have changed and no one told me that I should actually be taking all three of the above to a dinner party, or a weekend at a friends house. When did this happen? Did I miss an email or a facebook post that announced this to everyone other than me? More to the point why has this happened? Why is it necessary? Again, my thanks goes out to anyone who has kindly brought these gifts to us on their weekends with us, receiving them was lovely, however I now have a sense of panic as I have never and will never be able to take all three things to someone else’s house as a thank you for dinner. We simply can’t afford to do that. We see friends nearly every weekend. If we took all three gifts to every friend we saw it would be costing us about £50 a visit. It might not sound much to some but to us that is a lot. That’s a terms worth of ballet lessons, a month’s worth of swimming lessons. So when we arrive at your door with only one gift it is not because we don’t appreciate your hospitality, it is just because we simply can’t afford to slip into a world where THANKS means nothing but GIFTS mean everything. One of my best friends came to see me last week. She got on the train from London with her two year old daughter and five month old son on the hottest day the year! She bothered to get on and off buses and tubes and trains with two children to make the 4 hour journey down to us. This meant the world to me. When she arrived the first thing she said was ‘sorry I have come empty handed!’ I had to laugh. I told her about this blog post and I told her I didn’t need a gift, the best gift to me was just seeing her and her children. Spending two lovely days with them, feeling blessed that I had a friend who went to so much trouble to come all the way to see me. So will you help me spread the word? That word is THANK YOU. Remember what it means, remind your friends what it means and insist that it doesn’t have to come with a gift or a promise because we know that when a friend says Thank You it comes from the heart.